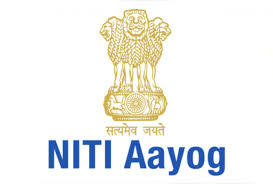 The Union Government has issued order setting up the ‘Niti Forum for North-East’. The forum will be co-chaired by the Vice-Chairman of NITI Aayog and Minister of State (I/C), Ministry of Development of Northeastern Region (DoNER). The forum will have its Secretariat in the Ministry of DoNER. The NITI Forum for Northeast is tasked to identify various constraints on the way of accelerated, inclusive and sustainable economic growth in the North East Region of the country and to recommend suitable interventions for addressing identified constraints. It will also review the development status in the NER. Members of the Forum will include Secretaries of Ministries of Road Transport & Highways, Railways, Power, Water Resources, River Development & Ganga Rejuvenation, New & Renewable Energy, Health & Family Welfare, Human Resource Development, Environment, Forest & Climate Change. Chief Secretaries of Northeastern states of Assam, Sikkim, Nagaland, Meghalaya, Manipur, Tripura, Arunachal Pradesh and Mizoram will also be members of the Forum. Secretary, North East Council (NEC), Shillong will be Member Secretary. Joint Secretary (NE), MHA, besides a number of experts from various fields will also be members of the Forum. The Forum may examine and address any other issues which are of importance but not specifically spelt out in its Terms of Reference. It may devise its own procedure to conduct its business/meetings/fields visits or constitution of Sub-Groups etc.